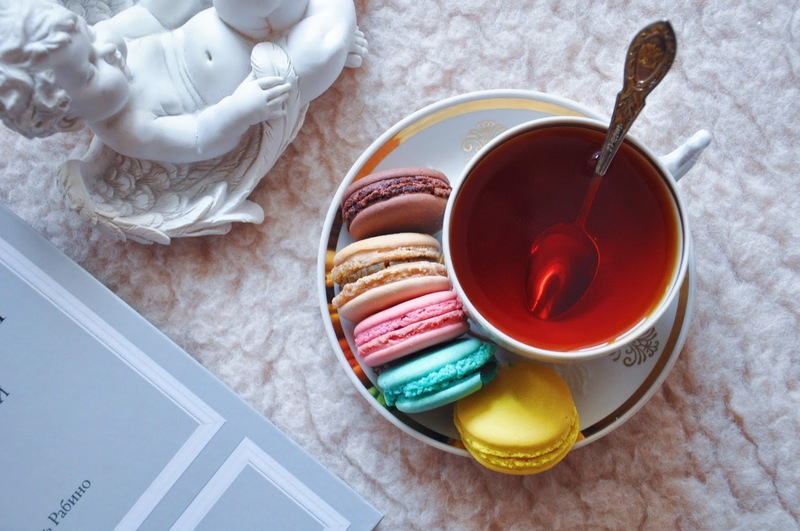 In the last 6-7 years macarons (pronounced "mah-cah-rons") spread far beyond Ladurée and can now be found in nearly every bakery, pastry-shop and McCafé around the world. Instagram is flooded with photos of these gorgeous little creamy-centered cookies - and you can even get contact lens cases shaped in the form of pastel-colored macarons. So where to go to try out the crème de la crème - especially if you live in a city that doesn't have neither Ladurée nor Pierre Hermé (and where definitely is no Sadaharu Aoki)? I've been wanting to do a taste test for quite a while now to find out where in St. Petersburg you can get the most delicious macarons - and it finally happened last week when my mom and I met up in the city center to indulge ourselves in a whole lot of crispy-creamy goodness. The first stop - Anna Gorchakova's "Macarena". A place food bloggers swear by. 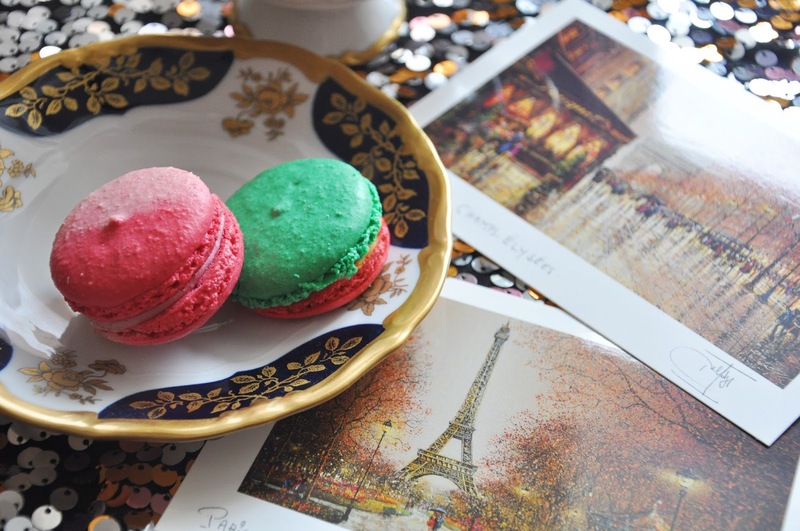 The one that was awarded "the best macarons in town" title by Time Out St. Petersburg (2013). All sweets are to be ordered online - you can either have them delivered by courier or you can pick them up in one of the three points around the city (located close to Gostinyi Dvor, Sennaya Ploschad' and Ozerki metro stations). The selection of flavors is tight, but well-curated: chocolate, vanilla, blackcurrant, lemon, caramel, raspberry, mint, pistachio and a couple more rare ones like coffee with cream and banana. It only took a couple of minutes to place the order which awaited for me the next day in a lovely cafe on the second floor of the Passage department store. We got coffee with cream, lemon, chocolate, raspberry and mint. And daaaaaaamn! I do understand all the praise now. The shells are super soft and actually taste like almonds, the filling is gooey, and flavors - oh the flavors!.. They're so very strong yet they taste completely genuine. If I had to pick favorites, I'd say it's lemon and raspberry - the first actually had bits of lemon zest in it and the second felt just like the raspberry jam my granny used to make in our country house come summer. The second place we opted for was "Macaron Shop". This pastry-shop was founded by Mikhail Khusid in 2013, and as of now one should order the confections online and then either wait for the courier or pick them up at a cafe nearby Mayakovskaya metro station or in the company's office that's located in the northeastern part of St. Petersburg. To me, Macaron Shop is a bit like Pierre Hermé in a way that they're not afraid to experiment and bring out unique flavors. For example, this season they offer banana & peanuts, Baileys & coffee, Tom Yum (HELLO THERE!) and orange chocolate / Grand Marnier liquor one. The ordering process took not more than five minutes: all I had to do is send a message via social media containing the number of macarons I wanted to purchase, the flavors, the date when I needed them, the delivery method and my phone number. The service team was super nice and I picked up my order the next day from a café in the city centre. I have to mention the packaging which is both convenient and sweet (a craft box with a cute pattern) and also the fact that the company accompanies each order with a little booklet that says how you should store your macarons (for up to 5 days in an airtight container in the fridge) and which flavors they've got. We personally picked the fanciest flavors, 'cause when you're being offered banana and peanuts you don't really go pistachios, do you? So we ended up trying the aforementioned banana & peanuts, Tom Yum, orange chocolate / Grand Marnier liquor, milk chocolate & Earl Grey, strawberry & rosmarin and, finally, blue cheese. As for the texture, oddly enough, it felt as if we've got macarons from different batches: Tom Yum and blue cheese had that delicate and fresh quality about them whereas the rest felt too thick and crusty and the filling turned out drier than expected. Naturally, Tom Yum and blue cheese ended up being the ones I enjoyed the most - you quite literally forget you're eating sweets, that's how real the flavors are. Same goes for banana & peanuts - those who like their PBB toasts in the morning will certainly find it delicious. Milk chocolate & Earl Grey is a bit of a miss for me - I really like Earl Grey tea but couldn't feel even a hint of it. Next on the list - "Michel's Bakery" that is a part of the French baker Michel Galloyer's branch. Located on the first floor of one of the biggest shopping malls of St. Petersburg, "Galeria", it is one of the places many people recommend going to if you fancy stopping by for a fresh baguette or, say, a divine lemon tart. What really surprised me, is that they charge quite a lot per each macaron - especially considering the poor selection consisting of only 8 rather basic flavors: lemon, strawberry, blueberry, passionfruit, vanilla, caramel, pistachio and mint. Since I personally think that's ridiculously overpriced, I decided to only try out two flavors and those turned out to be blueberry and vanilla. Unfortunately, they didn't live up to my expectations: both were overly dry and crusty - to the point that you could squeeze them endlessly between your fingers and nothing would happen. I was so massively disappointed - "Michel's Bakery" was the very first place ever that I tried macarons from and it's sad that the quality has decreased drastically over the years. Kudos for the packaging though! My two macarons were put in a neat craft box that kept them perfectly safe on the road back home. I have to mention that the waiters and cashiers are uber friendly and very polite, so this bakery is still worth a visit - just do opt for a lemon tart instead of macarons. Last but not least - the lavish "Eliseevy Merchants’ Shop" located on the corner of Nevsky prospect and Malaya Sadovaya street. Now on the bucket list of every tourist that comes to St. Petersburg, it opened after a major renovation back in 2012. With the recipe brought from France and cooked under control of the pastry chef who is French himself, these are undoubtedly one of the best macarons in town - think of them as a Russian equivalent of Ladurée. There are almost 20 flavors available, and although most of them are quite traditional (raspberry, blackcurrant, coconut, peach, coffee, mint, praline, etc. ), there are also interesting options for those who fancy something offbeat - for example, basil and bell pepper. We chose to try cherry, pineapple, orange liquor, basil, bell pepper and black tea with lemon. They were all fairly creamy and had a decent amount of filling, whereas the shells differed from super soft and silky to slightly dry and crispy. My favorites have to be basil (if you close your eyes, it almost feels like you're eating spaghetti) and bell pepper (marvelous combination of sweets and veggies). As for the classic flavors, I really liked pineapple and cherry. On the contrary, orange liquor is a little bit meh, so you can definitely skip this one. Bonus points for the atmosphere - it's such a pleasure to sit behind the tiny little tables, drink tea out of porcelain cups and guess what does the lovely French elderly couple talk about. However, there's a room for improvement in terms of packaging - individual macarons come in plastic envelopes that hardly protect the delicate cookies. After eating way too many macarons over the course of just one week, I have to say that not only it was a very fun experience, but it also made me realize just how different macarons can be. They can vary from the ones with just a drop of a something familiar to the ones that will wash you away with a whole wave of flavors. Since the title of this article says "the best macarons in St. Petersburg" I feel obliged to reveal which ones I personally think are the winner. However, I decided to split this into two categories: the best macarons to order and the best come-and-buy macarons. For me, the champions are "Macarena" and "Eliseevy Merchants' Shop". So there it is! Do feel free to name your favorite places to satisfy your sweet tooth in the comments down below. 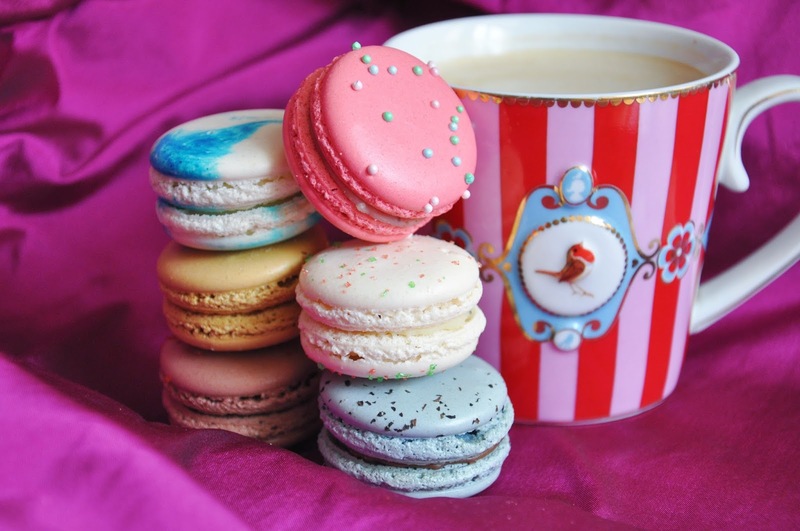 I love macarons and these look so yummy! It's nice to find a good option in your hometown so we don't have to go all the way to Paris to get them. 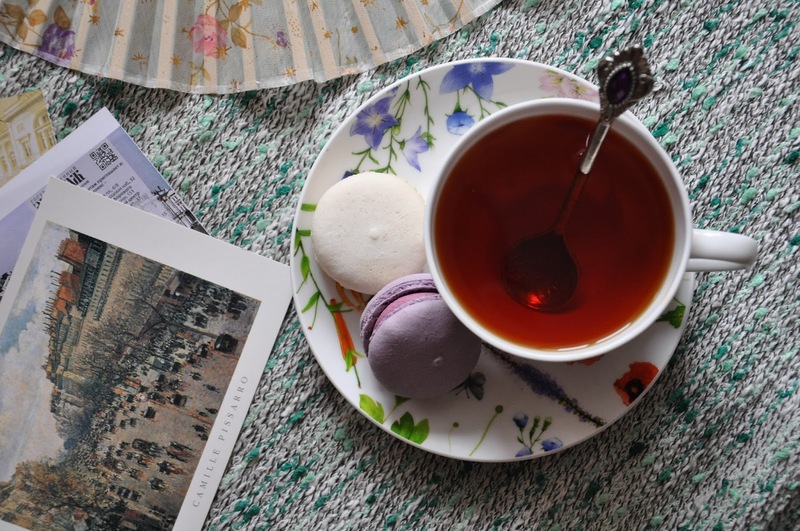 Have you found the most delicious macarons in Madrid yet? I would love to visit one day - big fan of Real Madrid!